Bay has worked at Global Foundries as a Senior Technical Staff Member since 2015 and with IBM before that since 1996. In addition to Global Foundries and Nordic, Bay has also coached Winooski HS JV Girls soccer since 2016. Bay grew up in Laos and is fluent in both Lao and Thai. He moved to the US in the fall of 1986 and has lived in Roanoke VA, Johnson City NY, High Point NC, Corning NY, and Alfred NY. 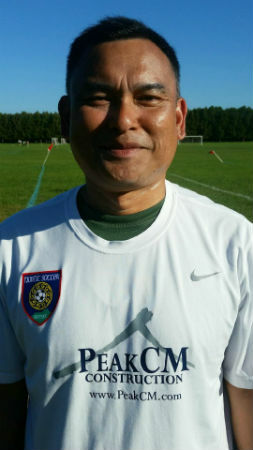 He moved to VT in 1996 and currently resides in Milton with his wife Mai and their 3 children, Kaila, Matthew and Michael who have all played for Nordic.